Not sure where to start with your outdoor kitchen design? 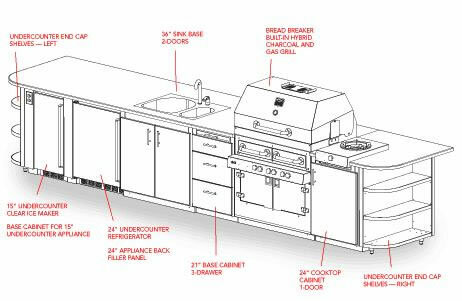 Not to worry, Melbourne Outdoor Kitchens provides a full design service along with 3D drawings and samples of all available materials. Fancy a pizza oven? Teppanyaki hotplate perhaps? small 2 burner or monster 8 burner BBQ? We can even design and construct the surrounding areas of your outdoor kitchen, such as decks, patios and pergolas. During an initial free on-site consultation with yourself, we discuss all aspects of the design you are trying to achieve, discussing any ideas or specific details you wish to include.Throwing around ideas and certain materials and finishes which complement existing surroundings and along with our expert guidance we will make sure to have sufficient information to be able to draw up a full 3D diagram for you to view and make as many changes as you see necessary. These drawings are made made available for you to keep once the work order form is signed and quote accepted.